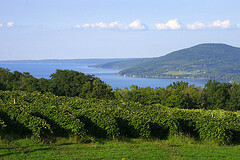 New York wine industry one of the fastest growing in the U.S. Stumbled across a study from last year, which points out that the New York wine industry is one of the fastest growing in the 50 states. With more and more Personalized Winemakers and wholesale customers every day, is it just a coincidence that our winery is growing? Maybe—but we’re definitely working pretty hard to make it happen!